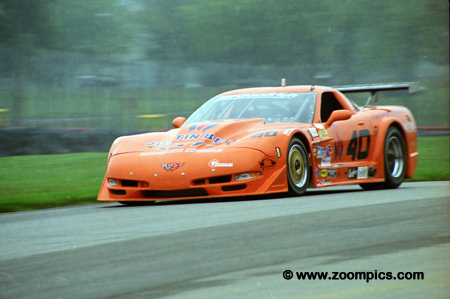 In 2001, Trans-Am competitors were competing for the BFGoodrich Tires Cup. To date, this season would have the largest payout – with potentially more than $2.3-million in prize money. New for 2001 was the introduction of live network television - the Sears Point event was telecast live. As in 2000, a number of new body styles were homologated - these included the Panoz Esperante, Dodge Viper and the redesigned Chevrolet Corvette and Ford Mustang. Other than the addition of these cars the rules remained basically the same as in 2000. The series continued to use a tube-frame chassis powered by a V8 engine producing approximately 650-horsepower. The eleven-race season opened in March at Sebring, Florida and was followed by Long Beach, Mosport, Detroit, Cleveland, Sears Point, Portland, Road America, Mid-Ohio, Laguna Seca and concluded at Houston. 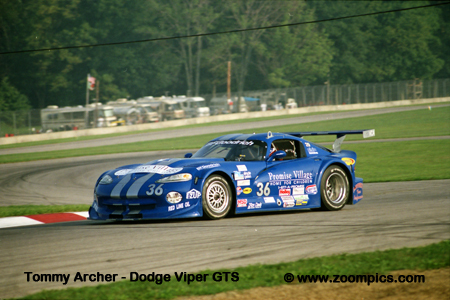 The ninth round of the 2001 Trans-Am series took place at Mid-Ohio as part of an American Le Mans/SCCA National weekend. This event would mark the 400th race in the series 36-year history. The race was 45-laps/101.25-miles on the 2.25-mile road course. The starting grid sits on the front straight at Mid-Ohio as they prepare for the pace lap. On the pole is Paul Gentilozzi in the No. 3 Rocketsports Jaguar XKR. Next to him is Tommy Archer in a Dodge Viper. 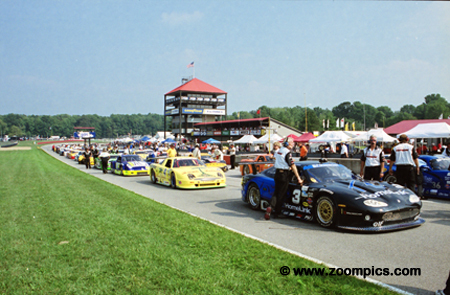 The second row is occupied by Brian Simo in a Qvale Mangusta and the Chevrolet Corvette of Justin Bell. Johnny Miller's Jaguar XKR goes through technical inspection after qualifying. 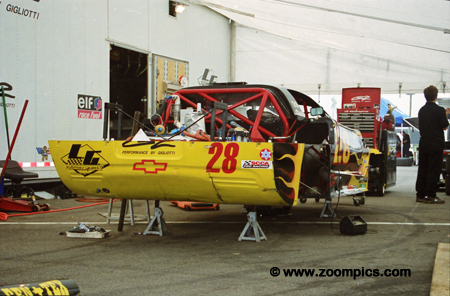 The previous season Miller was an owner/driver but for 2001, he joined Paul Gentilozzi’s Rocketsports Racing. At Mid-Ohio Miller started seventh and finished on the lead lap in sixth. 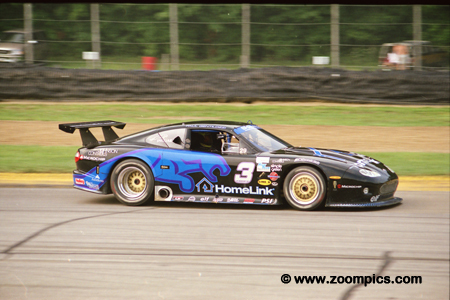 Paul Gentilozzi started from the pole, led every lap and recorded the fastest race lap in round nine at Mid-Ohio. The victory clinched the Manufacturer's title for Jaguar. Gentilozzi's win combined with a penalty received by Brian Simo made it difficult for any competitor to catch him for the Driver's Championship. By the end of the 2001 season, Justin Bell was on a roll. The former FIA GT2 champion finished second at Mid-Ohio after starting fourth. And, it just got better for Bell as he won the final two Trans-Am rounds at Laguna Seca and Houston. He also earned the “Rookie of the Year” award. 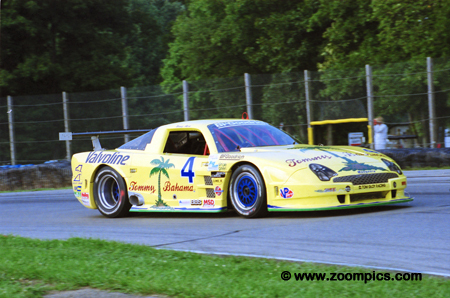 Leaving the starting grid in the thirteenth position was Randy Ruhlman. 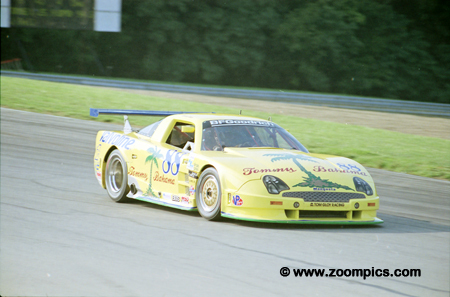 Ruhlman and the Performed Line Products Chevrolet Corvette finished fourteenth after 45-laps. An off-season skiing injury meant that Leighton Reese did not start the 2001 season until round four in Detroit. Reese qualified sixth and finished fourth at Mid-Ohio. The team felt that they were capable of better results but were hindered by the transition from the Pontiac Grand Prix body used in 2000 to the new Chevrolet Corvette. Mike Lewis started eighth and finished fifth at Mid-Ohio. 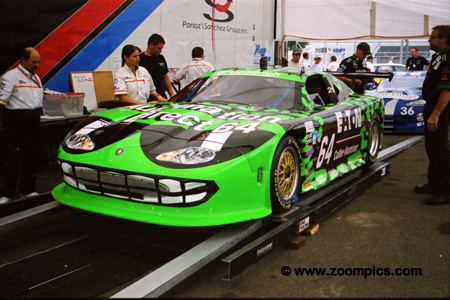 The 2001 Trans Am season was very good for Lewis. 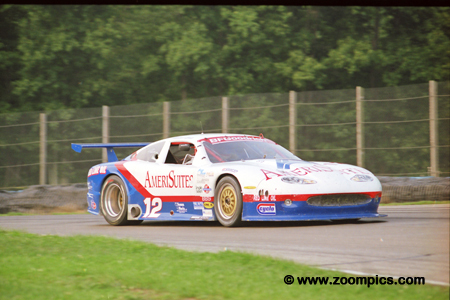 In the previous round at Road America, he scored his first Trans Am victory after sixty-two starts. His fellow competitors also voted him the 'Most Improved Driver' of 2001. 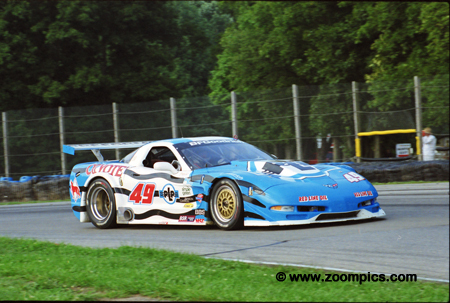 2000 Trans Am champion Brian Simo received an unwarranted stop-and-go penalty when officials confused his car with John Baucom's Ford Mustang. Baucom jumped the flag on a restart. The penalty dropped Simo to twenty-ninth, however, he was able to move up to twelfth at the checkered flag but his chances for a second title ended. It was another solid performance for veteran Lou Gigliotti in the LG Motorsport Chevrolet Corvette. At Mid-Ohio, he qualified ninth and finished seventh. His season included: one win, two podiums and nine top-ten finishes which earned him a sixth-place in the final Driver’s standings. Starting fifth, in the No. 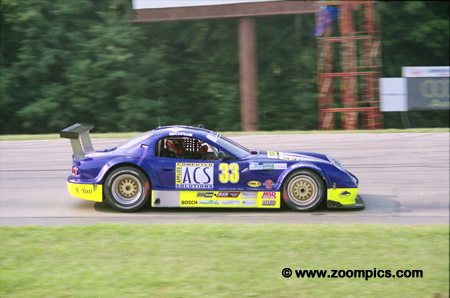 33 Panoz Esperante, Boris Said had to battle with Justin Bell, Michael Lewis, Tony Ave and outside pole qualifier Tommy Archer to move into second place. However, Bell’s move at the end of the back straight on lap-40 dropped him to third. Said held on for a third-place finish which equalled the best result for the new Panoz. Driving the No. 4 Qvale Mangusta was Tony Ave. This third entry from Tom Gloy Racing was a new Riley & Scott MK VIII Trans-Am chassis. 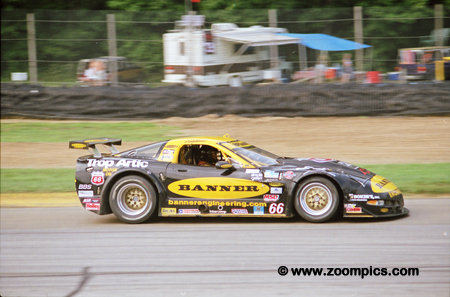 Gloy Racing was the factory development team for Riley & Scott's Trans Am program. The new car showed some promise as Ave qualified third but retired after 29-laps with transmission problems. 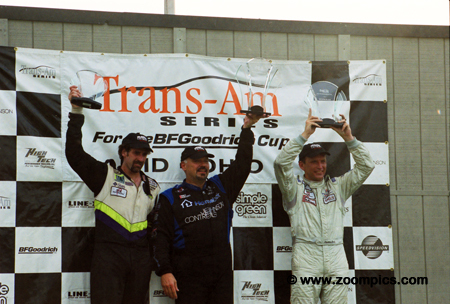 The Trans-Am podium at Mid-Ohio. On the right is second place finisher Justin Bell and at the left is Boris Said, who captured third. Between these two is the winner Paul Gentilozzi. This was Gentilozzi's fourth and final victory of the 2001 season. However, he would take the series title by a comfortable margin.